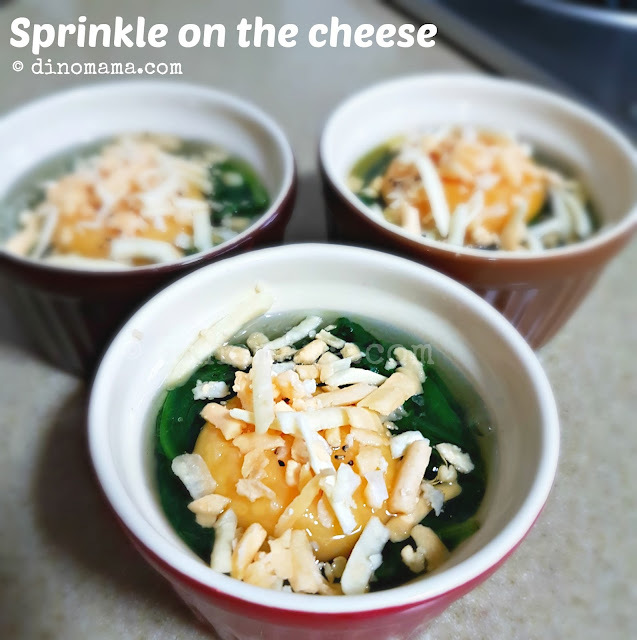 Yes, we are still on "cheesy" recipes to get rid of the cheese in my freezer. We know some kids dislike vegetables, some prefer leafy ones to non leafy ones, some eat roots vegetable while some loves fruit vegetables. In this family, we love vegetables too and have taught DinoBoy not to be picky on his food so he eats vegetables of all types and color. Most of the time we stir fry them in either oyster sauce or with garlic and frankly it can get kinda bored on some days. 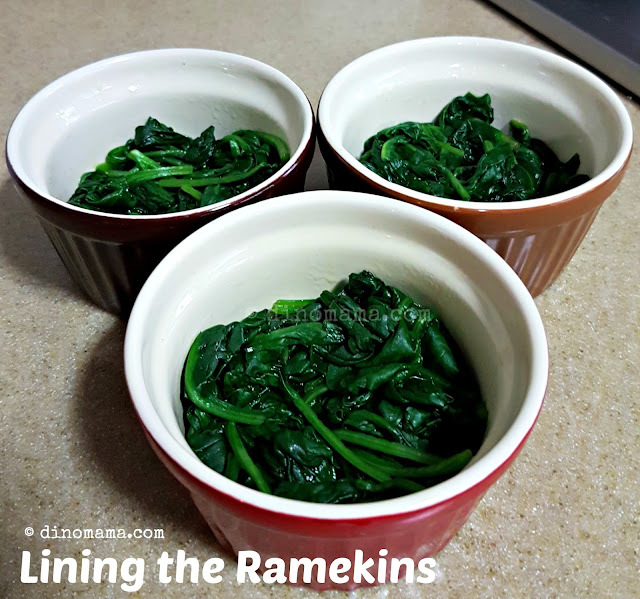 Today I am sharing another way of preparing one of our favourite vegetable - spinach, simply bake them in ramekins instead. Spinach is a power food, that's why Popeye loves them! 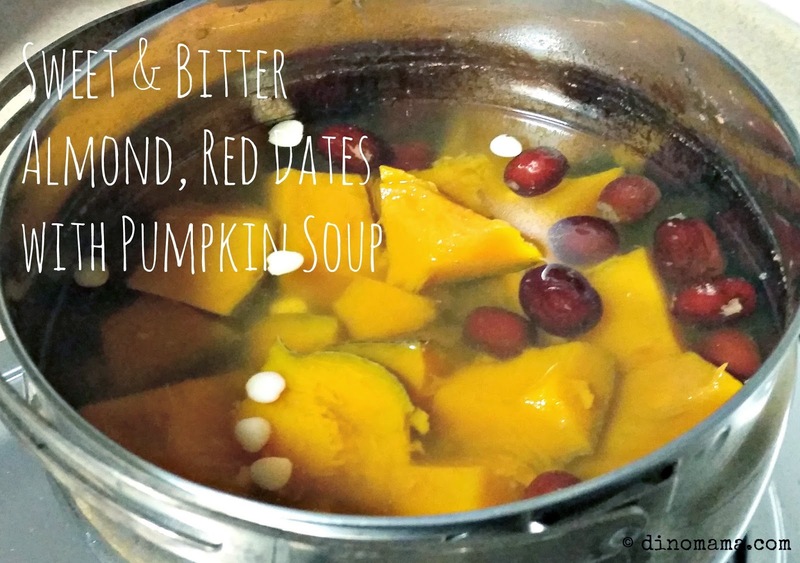 It is packed with vitamins A and C, folate, calcium, magnesium and iron. Having spinach in your diet helps boost your immune system and supports skin and hair health. 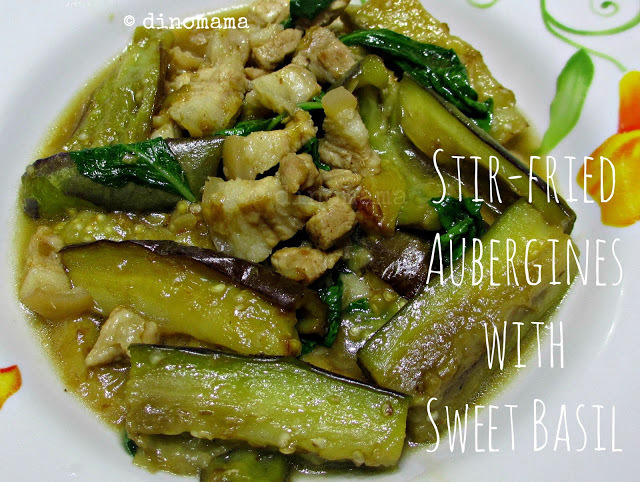 This dish is so easy to prepare and its so tasty that you could probably introduce them to your I-Don't-Like-Vegetable children, they may fall in love with this power vegetable and I think that is better than not having any vegetable in their diet right? 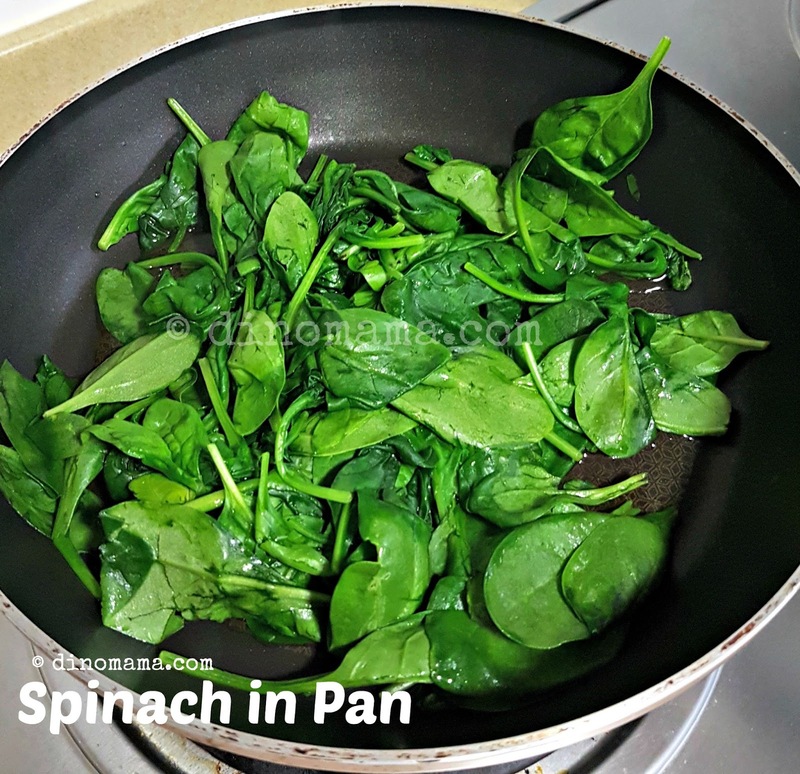 Grab a packet of baby spinach from the supermarket, rinse them, throw them into the wok or non stick frying pan, add a little bit of water and stir fry them till they wilted. Be sure remove them from heat once they have wilted as overcooking will the oxalic acid in the vegetable to give a lingering bitter taste. 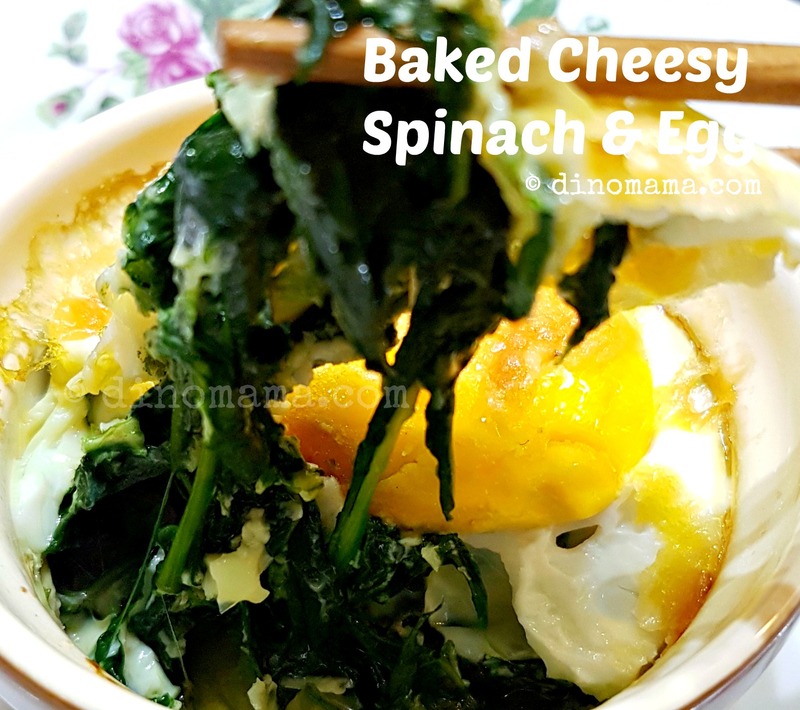 Pack the spinach into the ramekins or any oven save dishes that can accommodate the portion, depending on the size, add 2-3 eggs or more to cover the top. Sprinkle some salt before adding the eggs, sprinkle some pepper and salt, add in a generous heap of cheddar cheese. Mine was not enough coz that was what's left in that opened packet of cheddar cheese, I was too lazy to open another packet so decided to just make do. Ok, so now you know you can NEVER be lazy when it comes to cooking. You can use other cheese that you fancy, I probably will add some mozzarella cheese the next time. 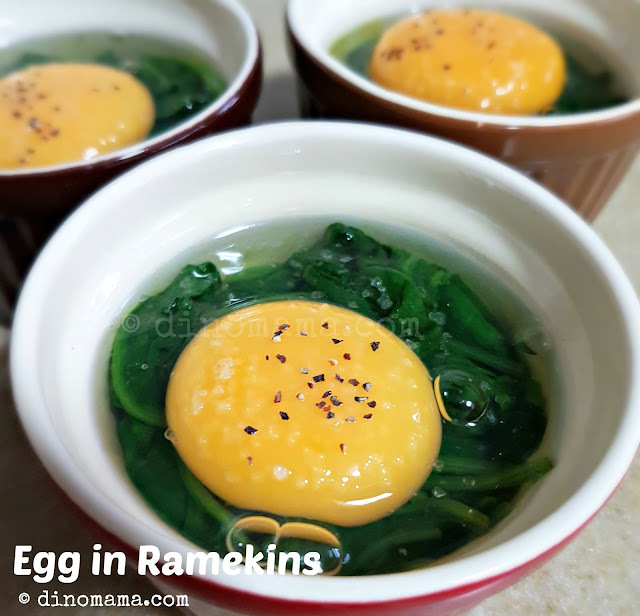 Pop the ramekins into the oven that is preheat to 200 deg and bake it for 15 to 20 mins or until the eggs are cooked, that means the egg yolk looks firm and egg whites turns errmm.. white. If you like your eggs to be a little bit runny, that's ok too, just make bake them a shorter time or til the eggs are cooked to your liking. This dish taste good as part of the dish with steaming white rice or pasta. 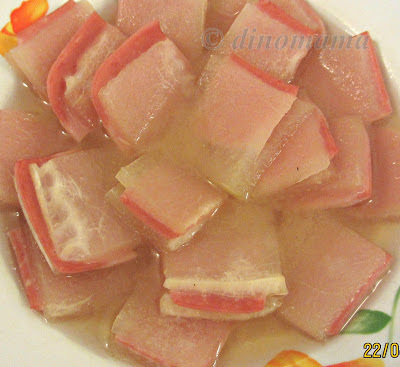 or even its own as afternoon snack and I strongly suggest that you choose this healthier choice over instant noodle! 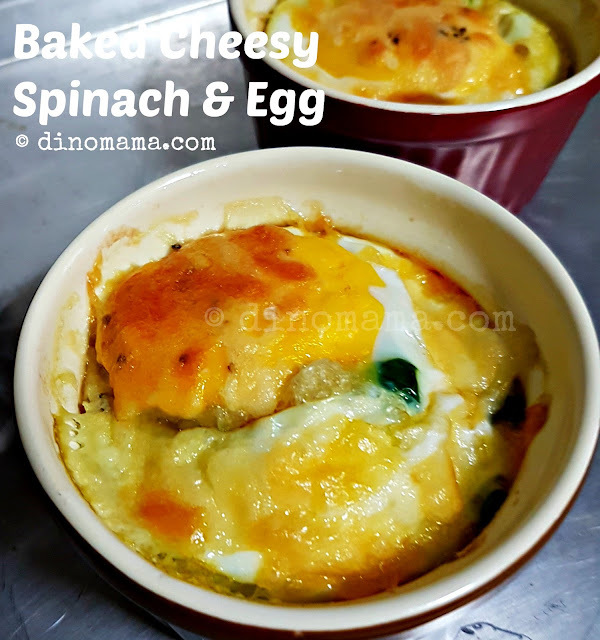 With just 2 ingredients you have a whole loads of vitamins and minerals from spinach and protein from the egg. I say this recipe is for keep! 1. Preheat the oven to 200 deg. Lightly grease the ramekins or oven safe dish with a little of oil. 2. Heat up the frying pan, add the spinach with 2 - 3 tablespoons of water. With medium heat, cook the spinach till it has wilted. Remember not to over cook it and remove from heat immediately. 3. Drain any excess water from the spinach and distribute them equally among the ramekins or oven safe dish. 4. Sprinkle a pinch of salt onto the spinach. 5. Crack an egg into the ramekin, season it with some salt and pepper. 6. Top it with cheddar cheese or cheese of your choice. 7. Place ramekins on a baking tray and put into the oven to bake for 15-20mins. It is done when the eggs are cooked.